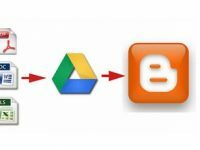 In this post i will walk you through blogger interface and show you how to make new post, writing your content, styling or highlighting important words or phrases, changing color of text or background of text, adding images, videos, Making ordered and underscored list, creating hyperlinks etc. Don’t complain if you already know. This is completely for Just started or Beginner blogger. So get ready to write your first blog post. 1. Login to your blogger account and from your dashboard click on New Post as show in the below image. 2. Enter your blog post title in area as show below and make sure to keep title short and rich of keyword. You can view your post by clicking on Preview or save it as draft by clicking on Save. 3. Below i have show you some bloggers features to enhance your blog post, adding videos, images, links,making lists, changing text color etc. I have numbered them and given details on how to use them below the image. 1. Compose: To write or see your post body. 2. HTML: To see codes of your blog post. 3. To change size of your text. 4. To bold the text. 5. To style word or phrase in italic. 6. To underline the text. 7. For changing the color of your text. 8. Adding an hyperlink to your post. 9. To add image to blog post. 10. For adding video in the post. 11. For adding an line break. Label: You can add label to your blog post. 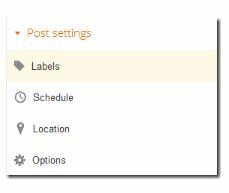 For example if you are posting tutorial on blogging then you can labels like blogging tricks, tricks & tips, etc. Schedule: You can schedule your post to be published automatically. Like if you have exam or going out for few days then you can schedule several post that will automatically published on set time. Thank You !! guys for reading hope you like it and if you have any questions post it below i would glad to help you out.